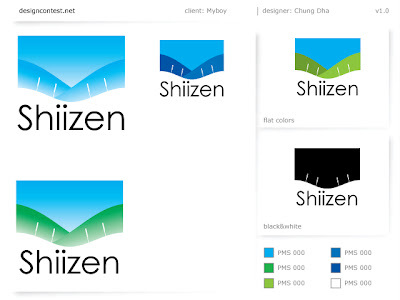 This in my logo entry for Shiizen. This a acupuncture company in Australia. The name Shiizen means nature in Japanese. However I know it should be shizen with one i instead of two. But the company is called Shiizen with double i. Here I tried to make hills with nature and bottom with a body curve with few acupuncture needles. Only the needles didn't really add more value to the whole picture.